a shilling; to be well mixed and stand [illegible] an hour before it is put in the oven. 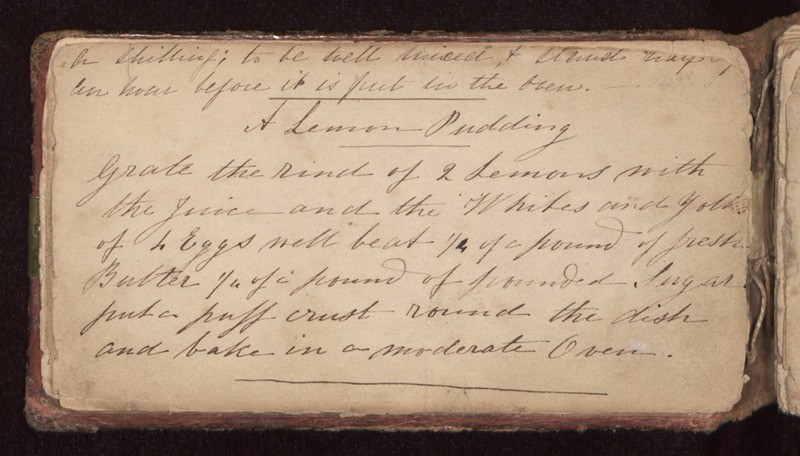 A Lemon Pudding Grate the rind of 2 lemons with the juice and the whites and yolks of 4 eggs well beat 1/4 of a pound of fresh butter 1/4 of a pound of pounded sugar. put a puff crust round the dish and bake in a moderate oven.